Our five-step process employs the simple elements of air and water to deliver an extremely thorough, yet gentle cleaning. Though more time consuming, cleaning rugs by hand ensures that no stain is overlooked and a rug's delicate construction isn't placed under undue stress. This approach produces the most thorough cleaning for your treasured investment. The preliminary step of the process is known as air dusting or simply, dusting. 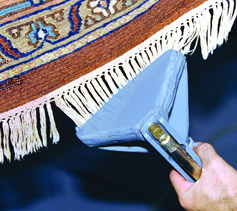 Combining soft, powerful compressed air with specially designed patented tools helps to gently lift and remove dust and dry particles trapped deep inside the rug's fibers and foundation. In the weaving capitals of the world, handmade rugs are washed by submerging them for several hours in flowing rivers. The submersion hand wash step simulates this age-old process, enabling all foreign matter to be purged from a rug. Using a continuous flow of water, combined with a mild, ph-neutral cleansing agent massaged deep into the fiber, further removes a rug's contaminants and keeps them from settling into the rug again. 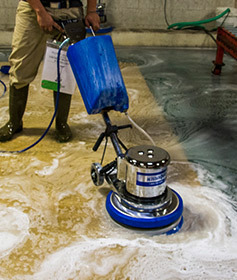 While the rugs are submerged, three compression rollers purge or "squeeze" all remaining contaminants. Rugs with particularly stubborn contaminants, such as pet urine, are submerged for an extended period to guarantee their complete removal. 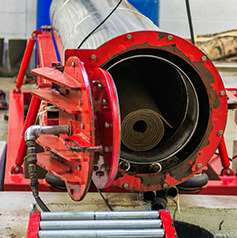 We use small, medium and large sized compression rollers to ensure all contaminants are removed from the rugs before they proceed to the air rinse stage. The third step in the process after the rug has been thoroughly washed is the rinse. The rug is rolled and hoisted into the rug centrifuge. The rug is rinsed with fresh water during the spin cycle to remove cleaning solutions. After the spin cycle is complete, the rug will continue to spin until all residual water is removed. The rug will exit the centrifuge camp, and be hung to dry. 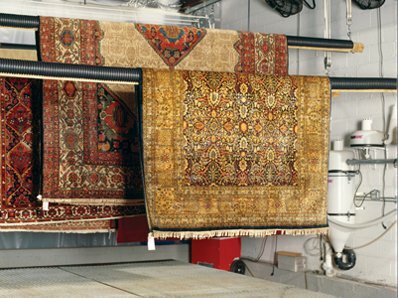 Achieving a fast and efficient drying method is critical as rugs can mold and mildew if saturated for long periods of time. Controlled drying takes place in a heated dry room using a combination of air circulation, dehumidifying processes and heat. Here, rugs are allowed to dry for 12-24 hours. Post detailing involves cleaning and restoring all fringes using a specially designed tool. 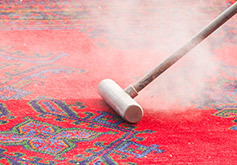 During this last step, all rugs are brushed and inspected for any remaining stains.